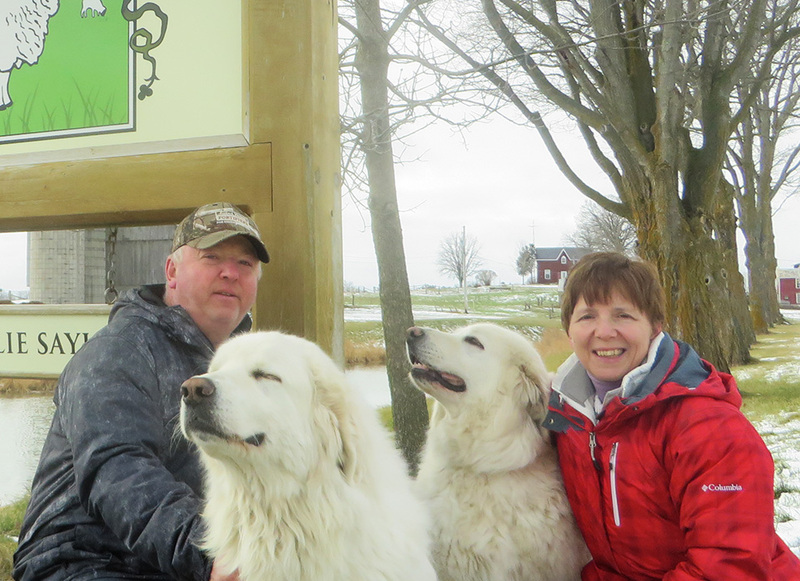 David and Julie Sayles have been farming on their Campbellford area farm, Mason Meadow Farm, for 14 years. They started with beef cattle and then switched to sheep. In the beginning they started out with a small flock of dairy sheep and over the years they have developed a commercial ewe flock of 480 head. They run 350 acres between two adjacent home farms, as well as rented land. They began selling lambs to Rowe Farms in 2006 because the protocols that the Rowe Farms require, fit with the way they believe animals should be raised.